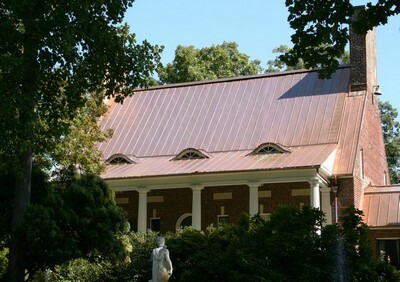 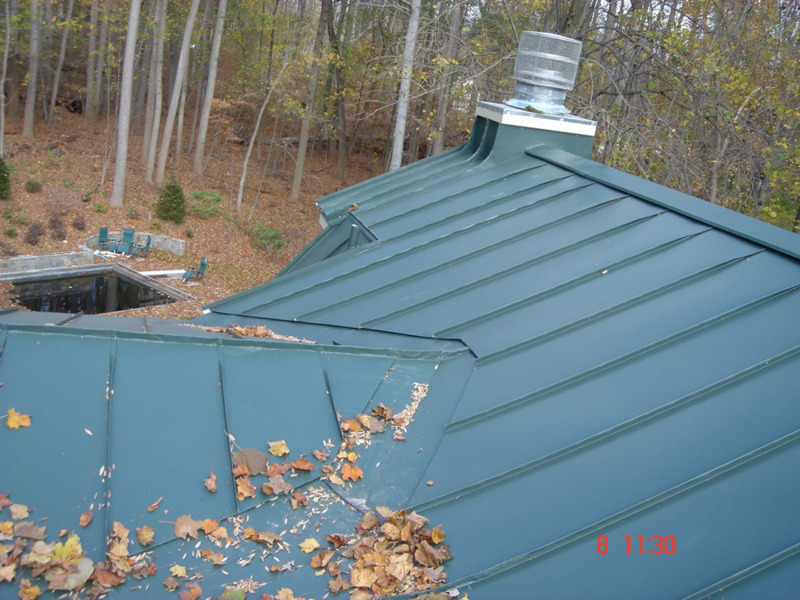 The images above and below point out some of the problems with most roof flashing, explain why they're a problems and the advantages of our flashing. 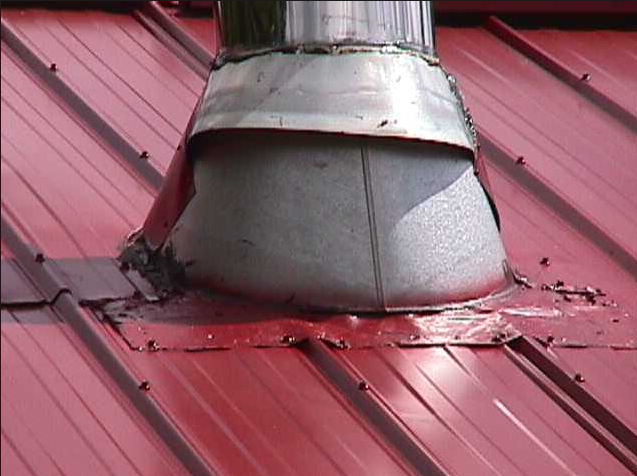 Z-Flashing -This is used as an easy way out for quick roofing practices. 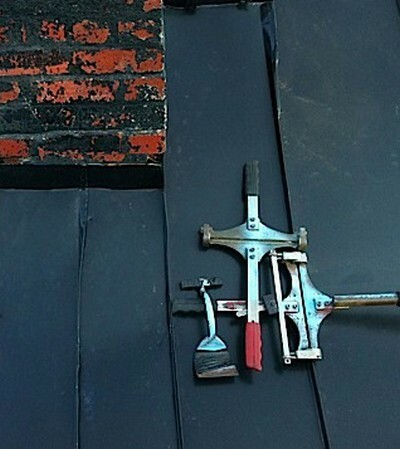 As the diagrams above and below show, it's a piece of flashing reminicent to that of the letter Z. 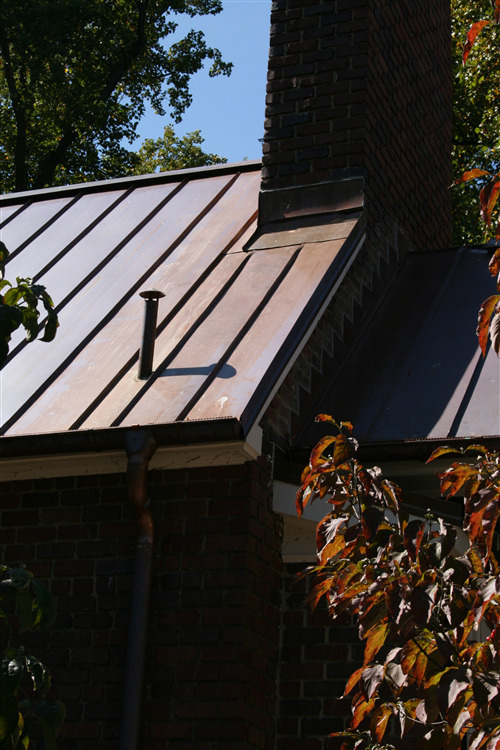 This allows roofers to use nails to flash chimneys instead of folding the metal panels the way that they are meant to be. 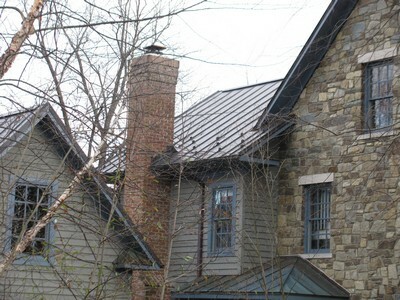 Caulk - While it makes for a good quick fix in many applications, using it as the main line of defense at penetrations on your chimney is a mistake. 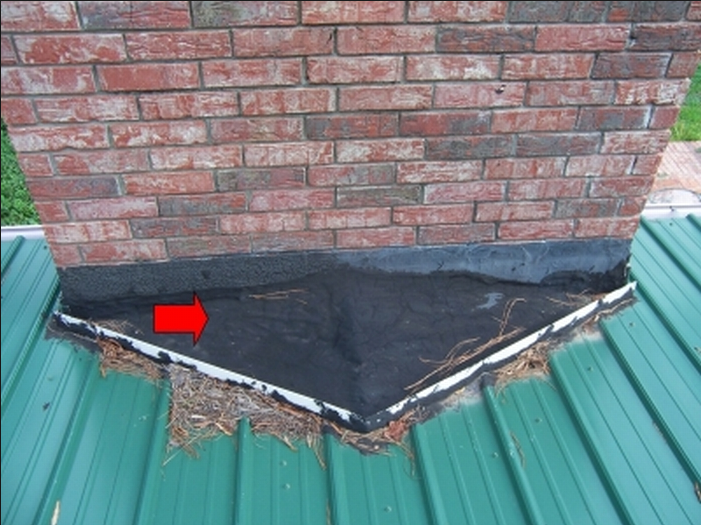 It'll last for a while under the harsh conditions on your roof, but will eventually break down, exposing the hole in your roof that it was originally applied to protect. 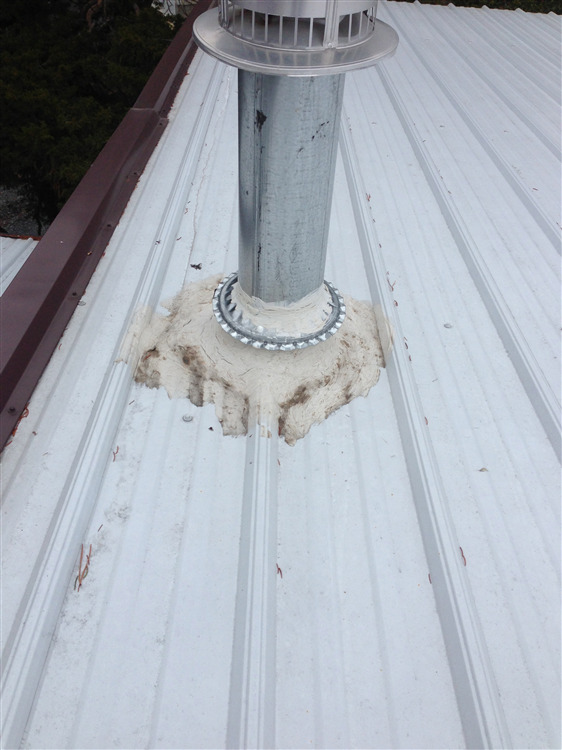 Unprotected penetrations - At the top corner of the Z flashing, there are pop rivets that connect the roof side Z flashing to the wall flashing. 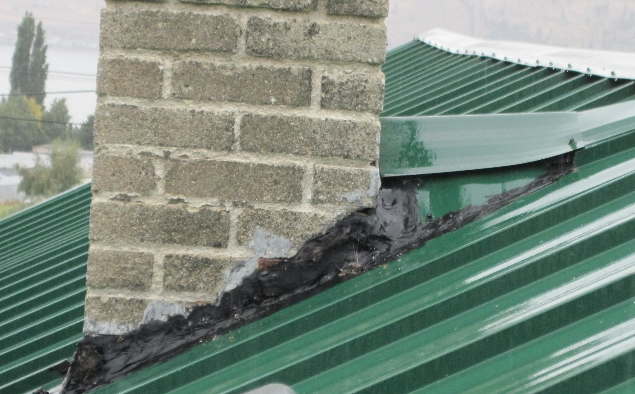 This will keep out water for the most part, but will lead to rust and larder damage in the future. 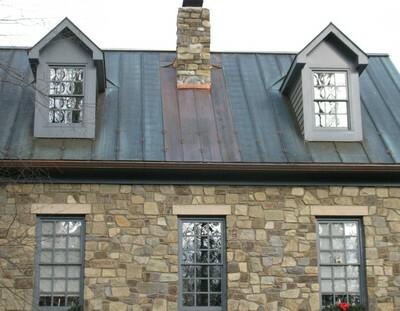 Full Width Panel - We make the panel above the chimeny wide enough so that it entirely overlaps the chimney. 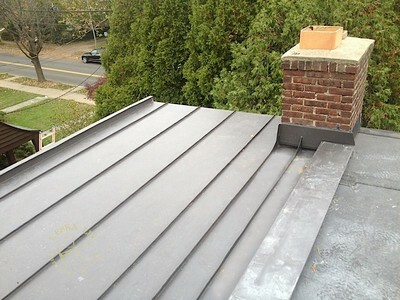 No seams mean that it's much less likely to leak. 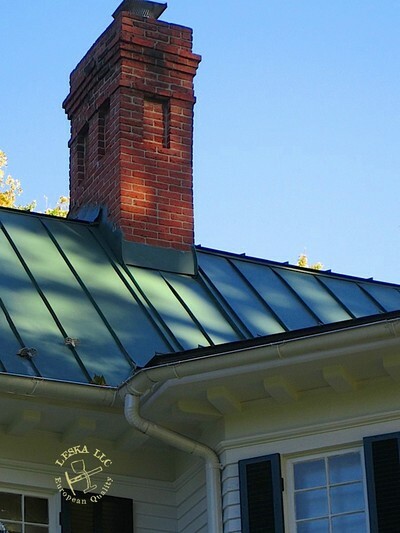 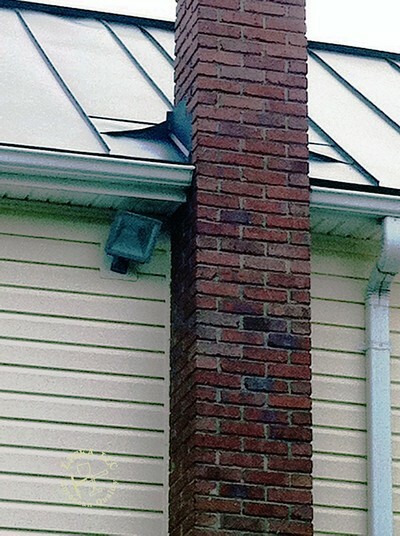 Step Flashing - Time tested, and integrated into the chimney itself to make a waterproof overlap. 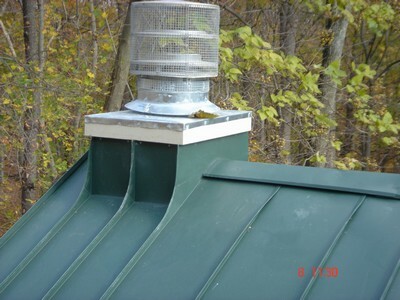 Curved and Seamed - This curved seam is just as water resistant as any other part of the roof. 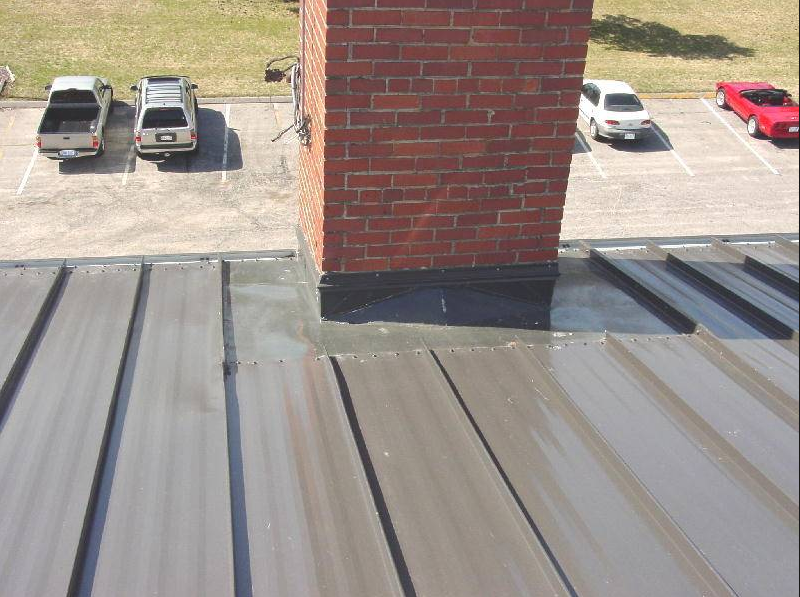 The seam is even placed down slope so that even the heaviest rains wont leave water sitting on the seam. 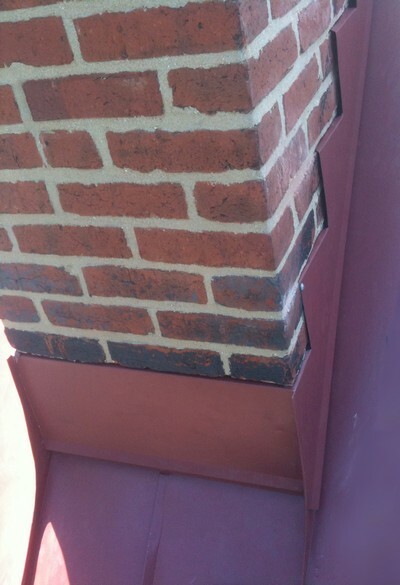 Overhang on step flashing - This overhang provides water protection even in very heavy winds.